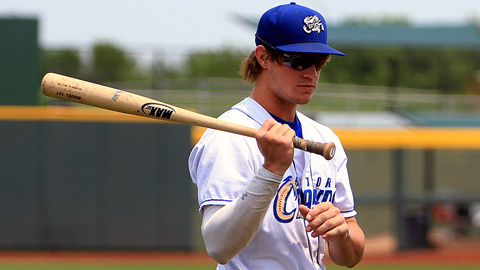 If you have followed the Royals-verse (I know that technically isn’t a thing, but just act like it is) these past few days, you have probably heard the Royals are dangling star prospect and (hopefully) soon to be Francoeur replacement Wil Myers in a trade for a top of the line starting pitcher. This has caused many reactions, good and bad, and some shock as well. Why, I don’t know. At this point, almost everyone should be available in a deal, as the Royals hope to reach .500 for the first time since 2003. But is dealing a possible future star the real answer? Wil Myers is probably going to be a special player in the big leagues. At the age of 21 he put up monster numbers in the minors this year, and every indication is that Myers is a future 30 homerun hitter in the bigs. His only struggles were the 2011 season at AA, but those worries got swept aside when he came back in 2012 and dominated both AA and AAA. As excited as we have been about Hosmer, Moustakas and Perez, Myers might end up being better than all of them. But there is one solid truth in baseball; to acquire talent, you have to trade talent. Lester would miss pitching against the Royals. Let’s look at some of the trade rumors thrown about lately. First is Red Sox lefty Jon Lester. 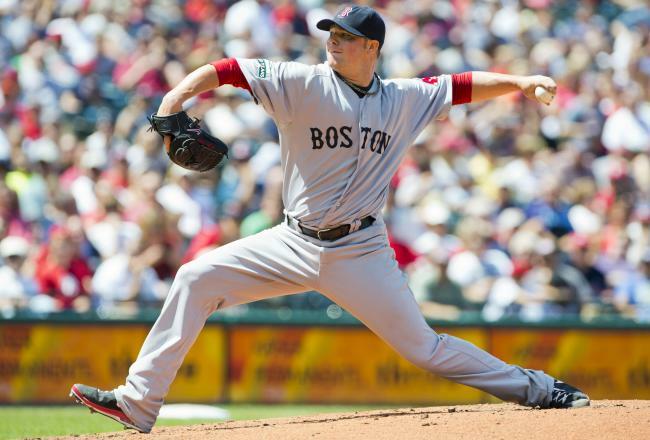 Lester can be one of the top starters in baseball, when healthy. That right there should be red flag number one for Royals GM Dayton Moore when considering this trade. Lester has been broken down off and on the past few years, although he has still accumulated 200 innings pitched four of the last five seasons. Back issues have been a problem, and to be honest, those injuries are the ones that scare me the most. Back issues tend to linger, and if Lester can’t shake that then a trade would look like an epic disaster. As much as Lester has an upside, the downside would make a trade for Myers a no go for Kansas City. Next is James Shields of the Tampa Bay Rays. As much as I like Shields, and he is a reliable pitcher, he isn’t a top starter. He is a nice upper to middle of the rotation guy, which is definitely better than what the Royals have now. But if the Royals are serious about trading Myers, you use him to get a top guy, not a close-to-a-top-guy. To me, a Myers for Shields trade is laughable. Maybe a Billy Butler for Shields, or something closer to that, but Myers might never have a higher value than he does right now. To get a #2 starter, seems like a waste of his actual value. So instead of those deals, I have a better idea. I think a package deal might be a better course to take. 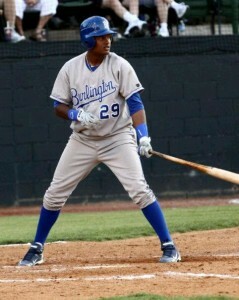 The Royals have a lot of good talent in their farm system(is it still considered the best in baseball? ), and maybe adding a major leaguer might entice the pot a bit. It also might be a chance to get rid of some excess baggage, like Jeff Francoeur or Luke Hochevar. A couple of prospects like Jorge Bonifacio or Chestor Cuthbert packaged in with maybe a bullpen arm or something else might net them a solid #2 or #3 starter. to me, that is the trade you want to make rather than trade a future star for two years of service from a Lester or Shields. Dayton Moore has mentioned in the past that he needs to be creative, and now would be the time to do it. Maybe start the conversation bringing up Myers and steer them toward a guy like Bonifacio, who has a good upside as well. I would avoid trading an arm in the minors, so guys like Jason Adam, Kyle Zimmer or Yordano Ventura should be off limits. A big part of why the Royals are in this mess in the first place is because they haven’t produced hardly any solid starters in the organization in years, so trading what few arms they have down there now makes a big problem a bigger problem in two or three years. At the end of the day,Dayton Moore needs to take the bigger picture here into consideration. The Royals aren’t contending in 2013. I’m not even sure if 2014 is possible with the management that is in place right now. So why trade a talented guy like Myers, who you will have control of for six years, for a solid starter that you have control of for two years tops? The answer is you don’t. If this trade happens, we Royals fans might refer to it in the same breath as the classic David Cone for Ed Hearn trade or the enchanting Carlos Beltran deal that brought us John Buck and Mark Teahen. Yes, the Royals need a top of the rotation guy for their rotation. But if you can’t get that guy, a solid 2 or 3 starter should be the way to go. Trading Myers for that guy is definitely not the answer we Royals fans want.